Professional Care with High Standards, a system of treatment being used for over three generations, the CT Centre Team provides excellent and professional care using methods that have been helping people for over a century. Having helped over 4000 patients worldwide, with 95% of those patients coming through recomendation, you can be assured you will be receiving the best care. Our CT Centre practitioners are trained with the highest standards of service and care in mind to help you reach the maximum level of health you deserve. 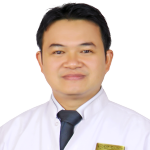 Sir Tuan Anh has been training in Chinese Herbal Medicine and Acupuncture with his father Dr Bao Sanh Diep since 1984 and is qualified as a Doctor of Medicine and Ph.D. (Doctor of Philosophy). Not only is he a Doctor of Medicine, he is also a Master of Chinese Feng Shui and Master of Martial Arts. 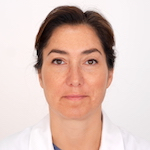 Dr Mach’s vast knowledge of complicated conditions, along with her special skills in Cosmetic and Fertility treatment make her a treasured asset to the CT Centre. Mr Palmer has always been interested in herbal and alternative healing methods; mixing herbs to try and help with any ailments that family or friends suffered with. During his time at university studying Aquatic Zoology he realised his interests were set on a different path, and left in search of healing and spiritual knowledge. 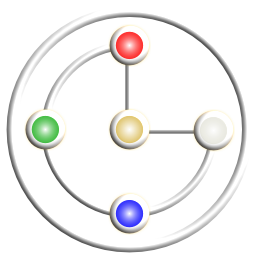 When he began his Acupuncture, he was able to piece together what he had learnt in his own studies and gain much more. Whilst working as an IT Technician and photographer, Cam felt he would like a career where he could help people; this would bring him the job satisfaction he was looking for. After seeing first hand the skills of Dr Diep and CT Centre, Cam decided to attend a course of Acupuncture training at the OICCT. He was particularly drawn to their focus on practical training and reputation of excellent Acupuncture treatment in CT Centre. Cam has a passion for promoting well being and living a healthy lifestyle, and strives to give the best treatment possible to his patients. He now operates as a CT Centre representative working around the South East London Area. Tadeusz is currently a Sous Chef and has been working in the catering industry for 17 years. Having a real passion for food, healthy eating and people’s wellbeing, Tadeusz undertook a diploma in nutrition. This concern for health consequently led to his aspiration to improve people’s general fitness and has led to his interest in studying Acupuncture. 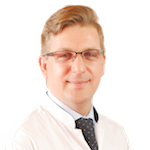 Tadeusz works in the CT Clinic Northampton branch and also manages his CT Clinic in Bletchley. Tadeusz also works at the OICCT as lecturer in the Acupuncture Department and is studying Feng Shui with Dr. Diep. Tadeusz is fluent in Polish and English. Ann-Marie's interest in mind, body, and spirit has led her to study and investigate different holistic and ethnic medicinal approaches to healing the body and mind. She has a deep knowledge of meditation and how energy affects the body and mind. As a practising Clairvoyant-Medium she wanted to combine her knowledge of energy clearing and healing techniques including Reiki with Chinese medicine. After witnessing the benefits of Acupuncture she quickly jumped at the opportunity to study Acupuncture with OICCT. She is bilingual speaking both Spanish and English allowing her to communicate with a wider range of international patients. Ann-Marie works at Clinic 5 as well as the Northampton Clinic. 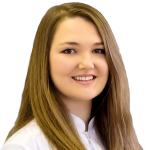 Anna has developed a deep passion for Chinese culture and utilises intensive tai chi practice to enhance her understanding of acupuncture and its uses. 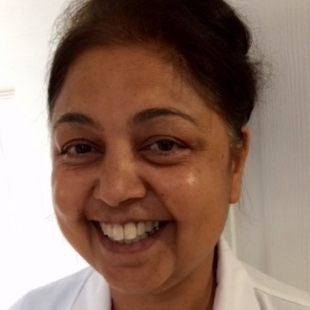 She is fully qualified and continues broadening her knowledge by practicing clinical acupuncture at the CT Centre in Northampton. Her deep spiritual calm and her desire to help others has seen her reputation grow and her career develops into a thriving business within Warwickshire and surrounding area. 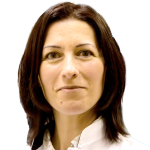 A recent venture has seen her open a private clinic in Rugby. Paula has always been curious about the inner workings of the body and possesses a deep desire to understand why certain conditions manifest as they do. Paula studied anatomy and physiology in the past, then moved on to research and practice Qi gong with spontaneous movement, observing an overwhelming healing rate she pursued this area and has dedicated herself to the study and practice of acupuncture with Chinese medicine. Being passionate about educating people on how they can be personally responsible for improving and maintaining their own health. She has a strong desire to ensure that treatments are made affordable to as many people as possible. 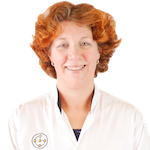 Paula is the main practitioner at Clinic 9 based in Delapre, Northampton, offering Acupuncture and Traditional Chinese Medicine. During her spare time Kalwant can be seen doing seva (voluntary work) in the kitchen of Sri Guru Singh Sabha Gurdwara which is opposites the SikH Family Centre. 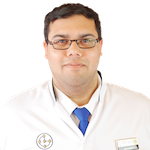 Kalwant recently returned from India having securing a place to offer Acupunture and Chinese herbal medicine with staff who offer free eye camp on a yearly basis. All Margit’s life she has been deeply interested in helping people to achieve optimum physical, mental and spiritual health. She has graduated as a social worker and is qualified in Swedish massage, reflexology and meditation. Margit’s interests finally led her to Chinese philosophy and healing, she began with Tai Chi and Qi Gong, eventually finding her way to acupuncture. Impressed with acupuncture’ s holistic approach to healing the mind, body and spirit, she used it to consolidate the knowledge already gained to focus on both health and beauty. 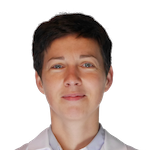 Margit currently works at the Northampton Clinic practicing acupuncture and cosmetic acupuncture with face massage. Stephen has spent time during his career as a Mechanical Engineer covering Production Processes and Manufacturing Lean Techniques. He has always been drawn to Alternative Medicine encompassing many holistic attributes along his path to include Acupuncture. Working at Northampton General Hospital gives him first hand experience to observe Western Medicine from childbirth to End of life whilst practicing Traditional Chinese Medicine at CT Centre. Eleanor Bennett is a graduate from Manchester Metropolitan University with a degree in BA Three Dimensional Design. Although having a great passion for art and design she did not seem to find her calling in the design industry, so decided to travel the world to broaden her mind and gain new experiences. At this time she became interested in a more holistic way of living and felt that this was where her future lay. She received Acupuncture treatment from the CT Clinic for her own ailments and from there, decided she wanted to learn more and develop in this field. After working in CT Clinic, Eleanor has now received her Acupuncture Diploma. She also has a strong understanding and practice of meditation, which complements her approach to health and well-being. Eleanor started her journey into Complementary Therapies in 1992 when she studied Swedish Massage and Aromatherapy more out of interest than to practice. With a high powered and very demanding career in London, Eleanor decided to take a year out in Australia; she then returned and gained a BSc degree in Herbal Medicine in 2001. 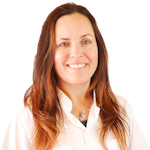 In 2004 Eleanor opened her first clinic and over the past 11 years has gone on to add Sports Massage, Reflexology and Hypnotherapy Diploma's to her list of achievements and therapies offered in her clinic in Great Yarmouth, Norfolk. 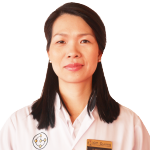 After finishing her studies at the OICCT, Eleanor now offers Acupuncture for Pain Management at her CT Clinic. Traditional Chinese Medicine is a therapy that combines the use of acupuncture, herbal medicine, cupping, moxibustion, auricular therapy and more to help understand and heal the body. Acupuncture is the process of inserting very fine acupuncture needles into the body at certain points or channels to help improve and prevent imbalances in the body’s state of health and stimulate the body’s healing functions. CT Centre Natural and Mineral Supplements are formulas designed to give the body what it needs to enhance the body’s own healing system to re-establish balance and health. Cupping is the process of creating a vacuum inside of a cup with the purpose of creating suction to withdraw harmful pathogens, wind and cold through the surface of the skin. Moxibustion is the process of applying lit or glowing “Moxa” to certain areas, channels or points with the intention of stimulating circulation to improve the flow of blood and Qi. The purpose of this is to increase the heat at a point or channel where it is cold, damp, damaged, etc. Using the principles of Chinese Medicine and Acupuncture, Auricular Therapy is the stimulation of acupuncture points on the external ear surface for the diagnosis and treatment of health conditions in various areas of the body. Cosmetic Acupuncture is used to delay and prevent the aging process through promoting Blood and Energy circulation to the face to bring a healthy glow to the complexion, and at the same time to detoxify, relax and tone facial muscles to achieve a more youthful appearance. Homeopathy means curing "like with like". It uses a system whereby a solution of the original substance has been filtered down to a small percentage of its original substance, which is then ingested, with the aim of aiding the body to heal itself. Feng Shui is the understanding of how energy behaves and how it influences all aspects of nature. By balancing our environment according to Feng Shui principles, we are able to clear, or channel, blocked energy in order to bring balance and success into our lives. Q1. I have a condition, where do I start? You can book an appointment with one of our acupuncture clinics; firstly we will consult your condition(s) and advise whether we may be able to help. The initial consultation and acupuncture treatment can last up to an hour. The price varies slightly with each individual clinic, please check with your nearest location. 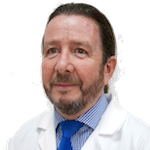 At our head office in Northampton, our price structure with the initial consultation, acupuncture and seven days of herbal supplement is £25.00 in some cases we may need to double the herbal supplement in such cases an extra £10 is added. Q3. I wish to have acupuncture only, is this possible? Yes, however we do strongly recommended taking the herbal remedies provided by our specialised clinics. 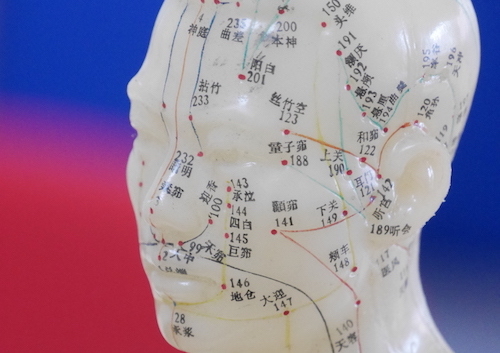 This will supplement your course of acupuncture much more effectively. Q4. How many sessions do I need? An average of 8 to 10 sessions per condition. But each case is different, and is based on your recovery rate; the longer you have suffered with the condition the more severe the physical damage. Your age can also have a major impact on your healing process. Q5. Can my conditions be treated? We cannot claim that any condition can be treated by acupuncture, but we have had a high percentage of patients claiming that we have helped them in many ways to healthier living. This gives you the confidence to try with us and you may be on your way to recovery too. Q6. How does acupuncture work? 90% of acupuncturist use acupuncture to numb the pain. Hence acupuncture is now widely known as a method of pain relief i.e. shoulder pain and back pain. Here at CT Centre, we mainly focus on the root causes of a condition, by 60% easing the suffering and 40% improving the healing system. This method supports the system to optimise the recovery process. Q7. Do I have to have the herbal supplements? CT Centre recommends everyone to have the herbal supplements because nutrition deficiency is one of the main factors of any developing illness. We look at symptoms of the condition to diagnose what the system requires and diagnose appropriately. However, you may refuse our recommendation but bear in mind that your recovery of the condition will not improve as efficiently. Q8. I have a long list of conditions, Can CT Centre help me? We mainly focus on improving your healing system and not eliminating symptoms, therefore it does not matter how long the list of conditions are. We require a consultation and then decide the order of conditions to support and help you to help yourself. This is the best method of treatment. Q9. What is the difference between CT Centre and CT Clinic? CT Centres are franchised clinics where all staff are qualified at the highest standard and follow strict guidelines with the CT Centre head quarters in Northampton. CT Clinics are practitioners who are also qualified by the same Open International College for Complementary Therapies www.OICCT.com, but offer many other therapies to the individual skills of the practitioner, which may or may not be approved by CT Centre. Mon - Fri 10:00 to 17:30.